This post is shamefully late in being written, as in 6 months late, but better late than never I suppose. I’m really starting to embrace “Thai Time”. 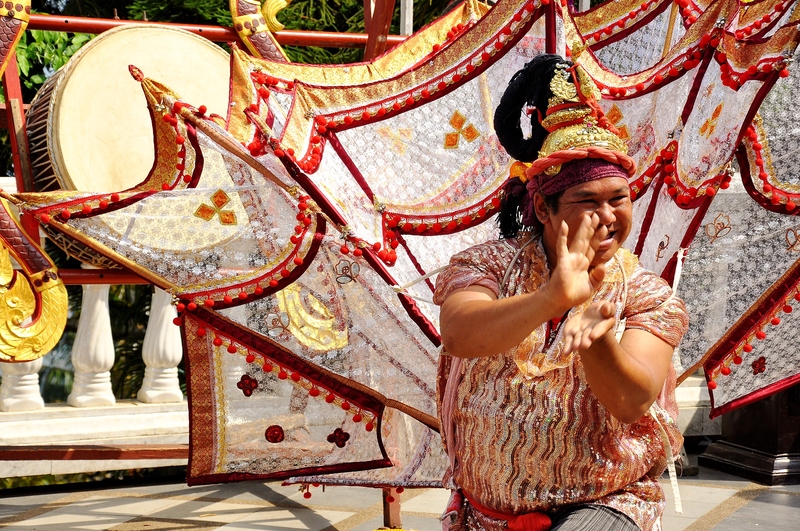 After drying out from Songkran (in April), we took a couple days to explore around the North of Thailand. First, we headed up a big mountain about 15K outside of Chiang Mai to Wat Phra That Doi Suthep. 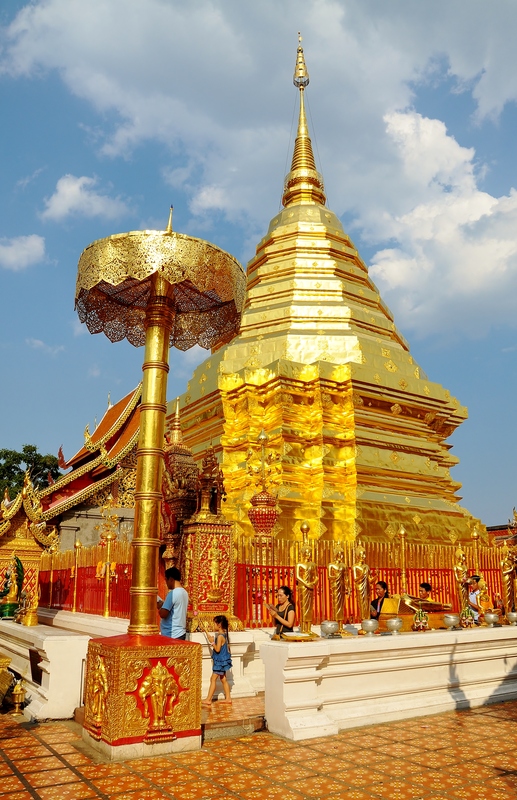 I actually went here on my December trip to Chiang Mai, but it is so beautiful that I wanted to make sure I took my sister and friends to see it. This is a big temple complex built on the top of a mountain. Basically the legend goes like this: a monk found a relic which was thought to be Buddha’s shoulder bone…. I’m sure it actually was… It could disappear and glow and fly, just like a regular shoulder bone. One day, it split in half as shoulder bones often magically do. Half of it was enshrined in another temple and the King had the other half of it strapped to the back of a white elephant named Dumbo, or Babar or Horton, I can’t remember exactly. 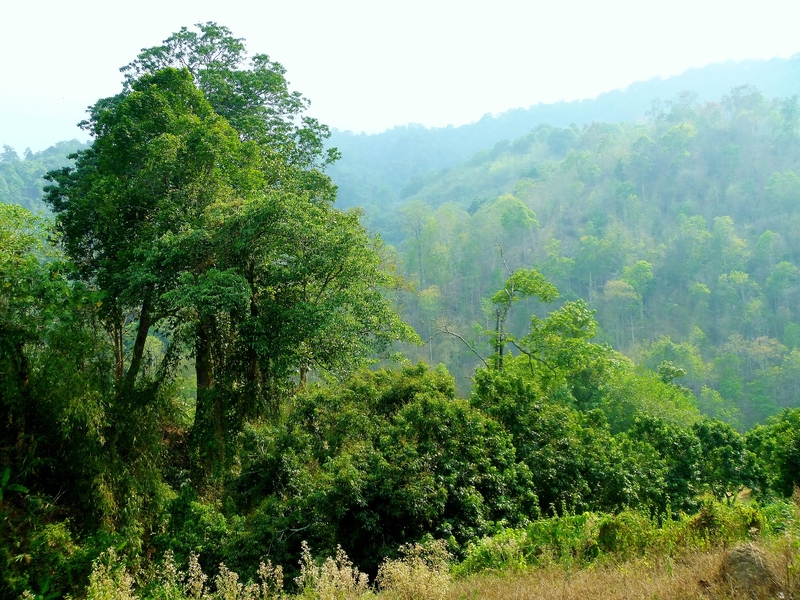 The elephant was released into the jungle and climbed all the way up this mountain then trumpeted 3 times and died. Doctors concluded that he hadn’t spent enough time on the stair master before attempting this strenuous trip. He probably should have just taken a pick-up truck taxi like we did. Now, the place where Mr. Suffleupagus kicked the bucket is the site of a really important, really impressive, Buddhist temple whose construction began in the late 1300s. The main chedi is so golden that it literally blinds you when you look at it. You are supposed to walk 3 laps around the chedi and pray for good fortune. In the photo you can see the people walking around and praying. We got all Buddhist and took our lotus flowers and walked 3 laps around the chedi too. It was very peaceful. I understand why there has never been a war fought in the name of Buddhism; these people know how to chill the F out. Later, when I went to the bathroom, I found 5 Baht AND there was toilet paper, so it must have worked. After visiting the temple we got back in our pick-up truck taxi, which Abby especially loved, and went to a local village. The truck bed had a cover over it and benches running from front to back. I felt like I was gonna barf from sitting inside so I hung off the back with Jantzen instead. Despite my clumsiness, I didn’t fall off, thank you very much. Bangkok is pretty modern (at least the areas that I spend most of my time in) so it is easy to forget that Thailand is still a developing country. The houses in this village were of similar quality to those I saw in Africa, but not the same style. There were chickens running around all over the place and elevated houses with thatched roofs. There were ancient women sitting next to girls with infants who looked much too young to be mothers. They were selling nuts and dried fruits and of course letting the wacky foreigners sample everything. Many of the residents don’t speak Thai and adhere to much more traditional customs, including hunting with wooden crossbows! OMFG, YESSSSSSSS. For just 20 baht, we could shoot some kind of jungle fruit hanging from a string. The crossbow was handmade from wood and some kind of really strong grass. The arrows were also all wood. For the record, I am the most lethal, 2 out my 3 shots were bullseyes. Don’t mess. 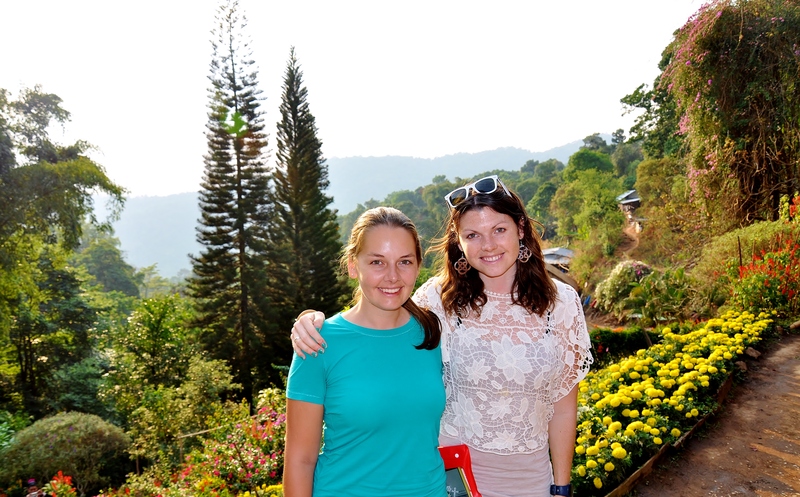 We wandered around this village for a little while and checked out some of the gardens. Everything was built on a hillside in the mountains so it was really beautiful. 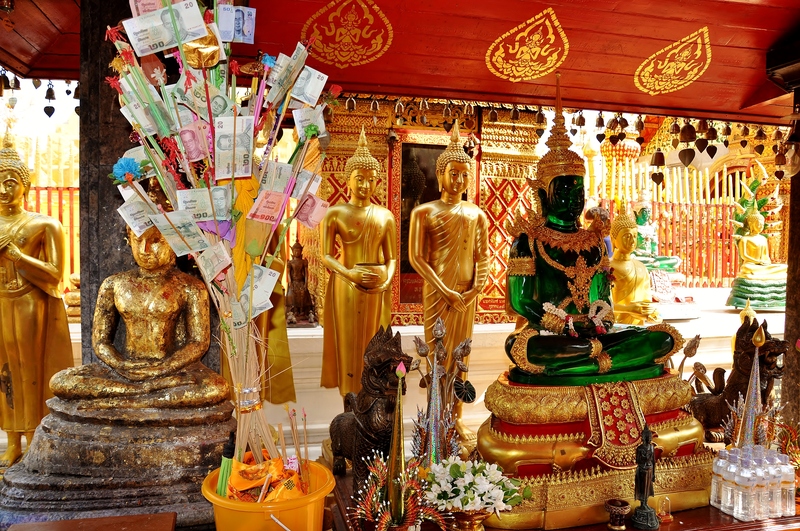 From what I can understand, the Buddhism here is also very different from other parts of Thailand. Since these villages are largely inhabited by tribal people coming across the northern border from China and Burma, their religious practices are different. 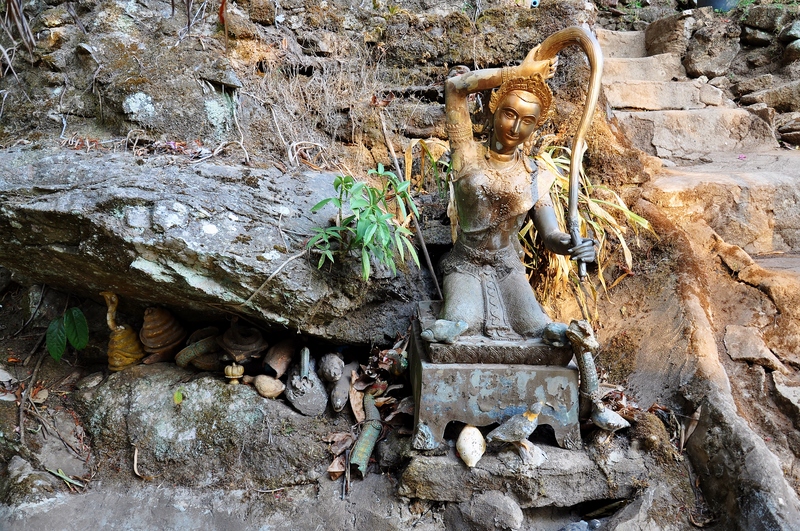 It appears that they have adopted some Buddhist practices (at least the people who lived in this particular village) but they also hold on to some more animist customs. That night we went to an awesome Jazz bar called North Gate. If you’re in Chiang Mai, go, it was a lot of fun, but it closes early. 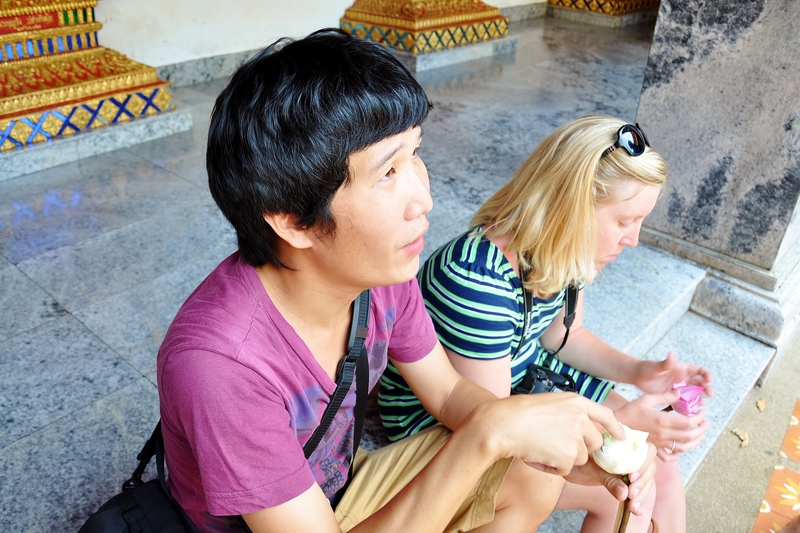 The next day, we went on a tour than encompassed a lot of different things (culture, nature, adventure) . I’m usually not a tour person, but when you have limited time, they are a good way to see and do lots of stuff in a short period of time, and that’s exactly what we did. We started out at a village of Long Neck women. This Anthropology major could have easily spent the whole day there. So here’s the story: these people are a tribal group who originally came from Burma. 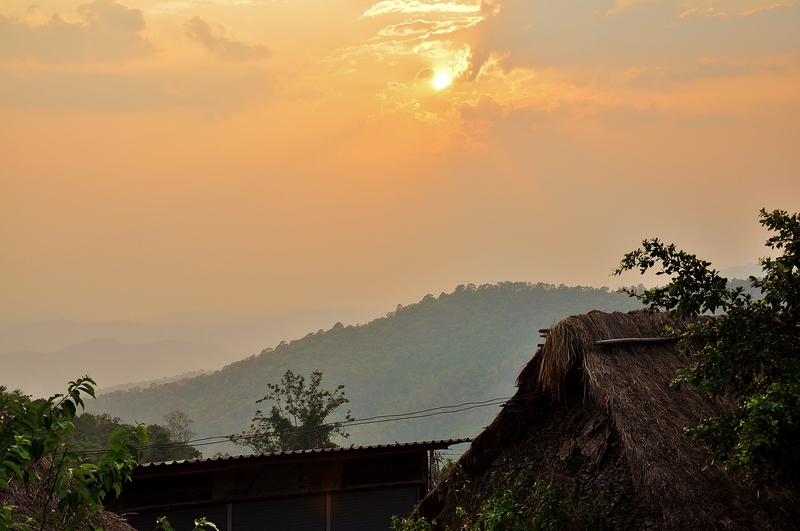 Recent violence in Burma has forced many of them to flee across the border into Thailand. The problem is, Thailand is highly xenophobic. While Thai people are generally friendly and welcoming and it is easy to get a tourist visa, citizenship for a non-ethnically Thai person is nearly impossible, even if you live here for 20+ years and are married to a Thai person. 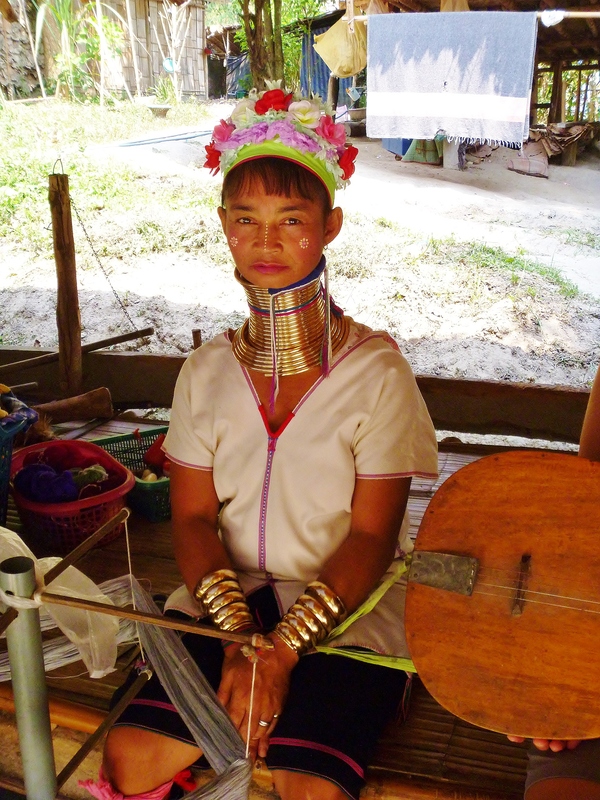 Thailand is for the Thais; the Long Neck people are a sub-group of the Karen tribe and are ethnically Kayan. Consequently, they are existing in a sort of “no-man’s land” status of citizenship, as are their children. They are living in refugee camps in many cases and those who aren’t, are surviving on subsistence farming and money from tourism. As for the brass rings, the women start wearing the rings when they are kids. Their necks aren’t actually lengthened, but appear to be. Their collar bones are slowly deformed due to the weight of the rings and their rib cages compressed as they get older and add more rings. The women and girls were stunningly beautiful, we all commented on how gorgeous they were. The women are also really talented weavers. 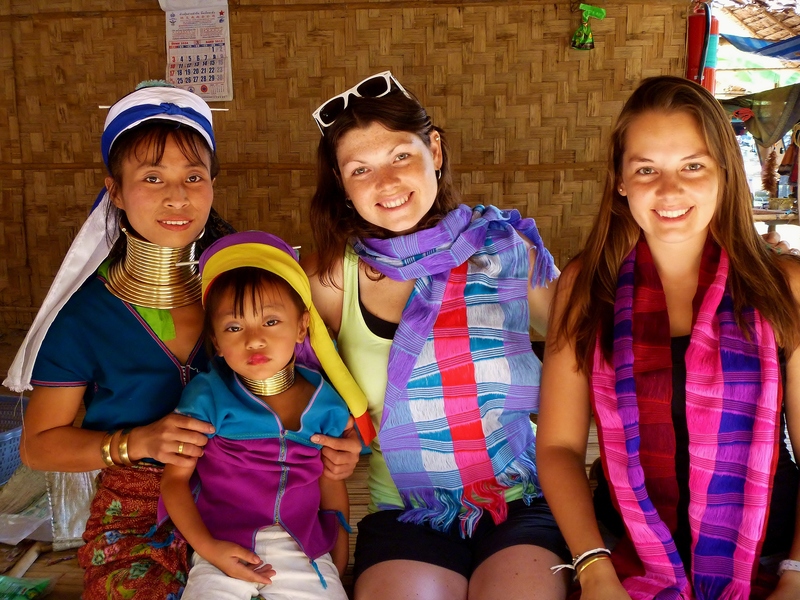 The scarves we’re wearing took 3 days each to weave and cost us about $9 each. 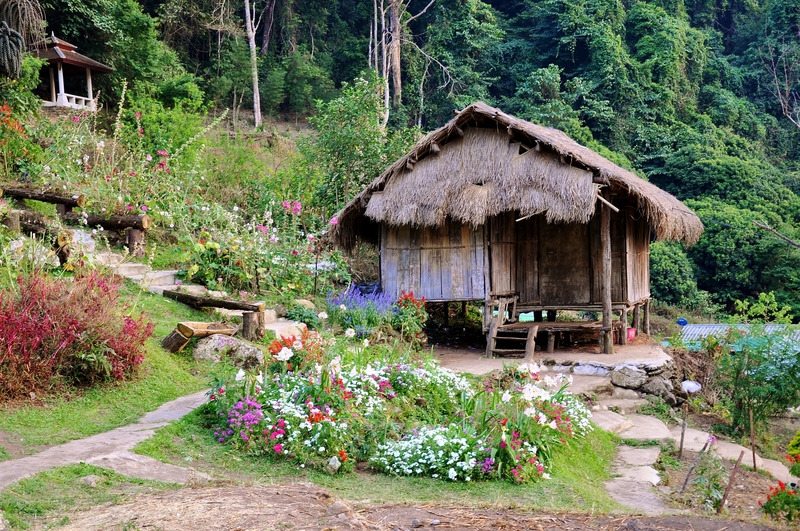 The Kayan people aren’t the only tribal people living in the north of Thailand. There are several other ethnic minorities who have fallen victim to similar circumstances and are squatting in Thailand. 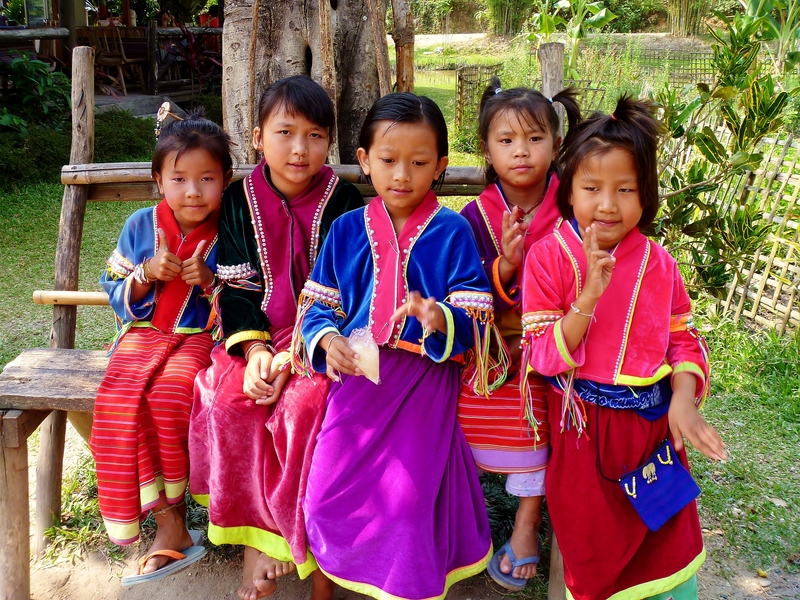 One of the largest tribes is the Karen people (of whom, the Kayan people are a sub-group). We also visited a Karen community. 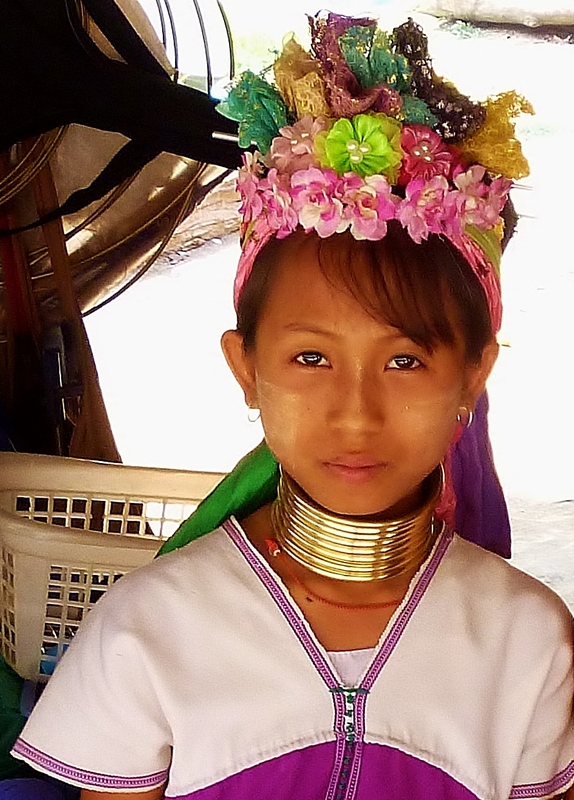 The Karen women do not wear the brass rings on their necks. 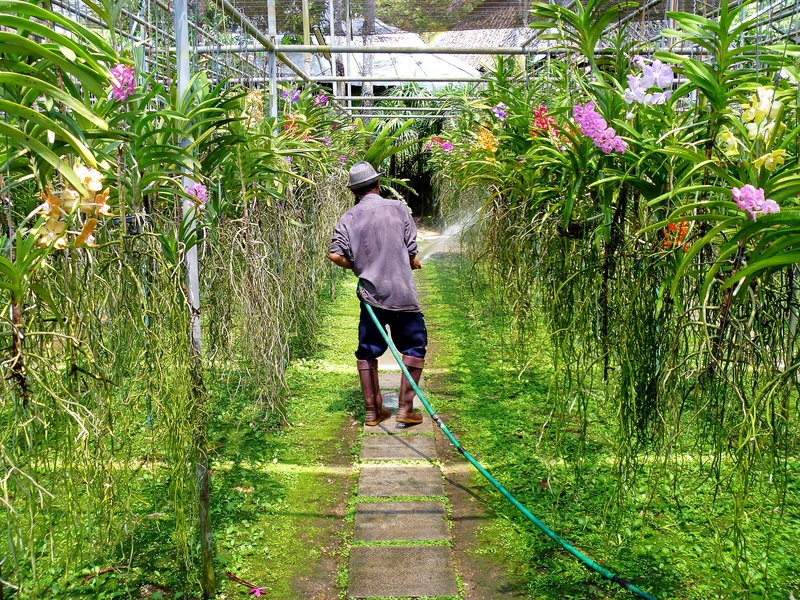 After getting yelled at by other obnoxious tourists for being 1 minute late back to the pick-up truck (one of the annoying parts of the group tours), we went to an orchid farm. The flowers were beautiful, but I was spoiled by the Botanic Gardens in Singapore so I was a snob about this place. All aboard the elephant express. Next up was the ubiquitous Thai elephant ride. This was my third elephant ride, and as I have said before, these beasts are slow and boring, but it is still really cool to be so close to them. 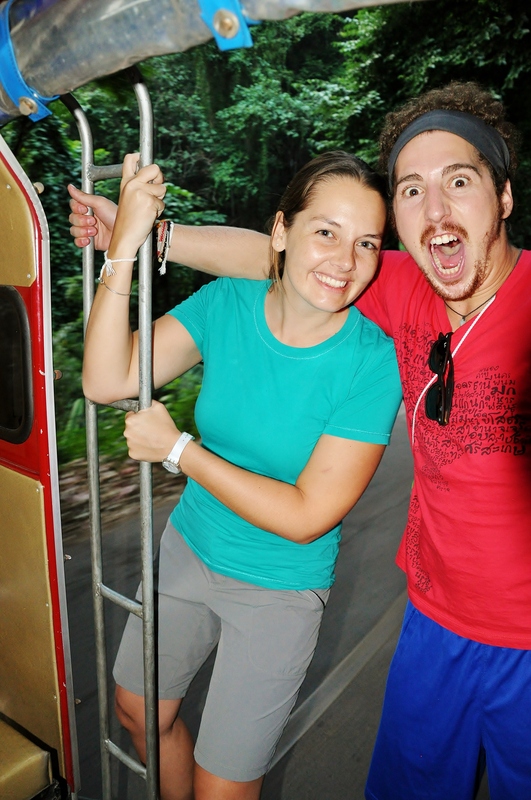 People seem to have strong opinions about doing elephant rides. A lot of people argue that they don’t treat the elephants humanely, which I’m sure they don’t in many cases. But in my stong opinion about elephant riding, the alternative for these animals isn’t to live in happy Jungle Book land with Mowgli. It’s death; likely in a horrible way where they saw their faces off to get ivory and leave them to rot to death. I think that’s a worse scenario than walking around for 15 minutes eating grass and bananas while I sit on their back and take pictures. Next we went on about a 90 minute hike into the jungle to a cool waterfall. It was nice to be in nature. I miss it so badly. Bangkok has like 4 trees. We hung out there for a little while and then proceeded to the final activity. 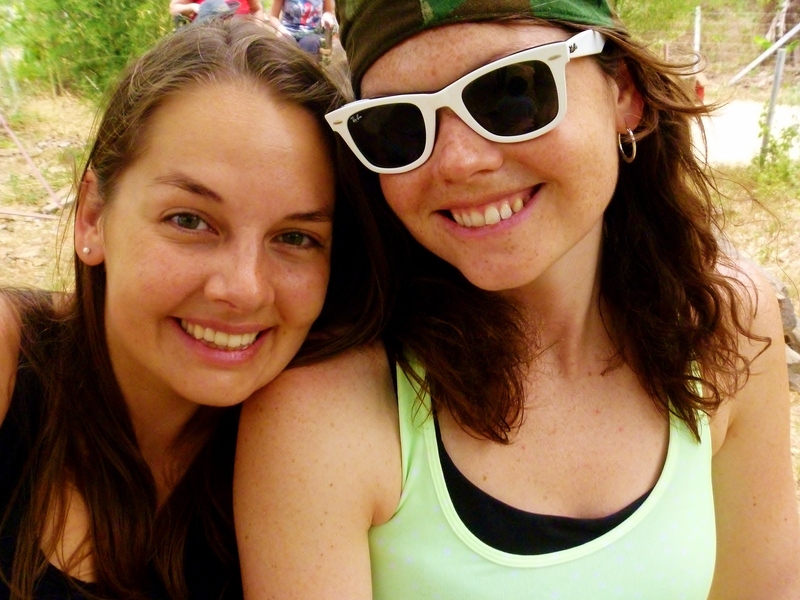 Last on our day of Thai experiences was “white water rafting”. The only problem was that not only was there no white water, there was no water at all. April is the end of dry season so the rivers are at their lowest. We thought about this before the trip, but assumed that if they were offering it, they would take us to a river that had enough water in it to raft. Plus, the waterfall seemed to be doing just fine. Oh Thailand…. We basically just bounced from rock to rock for a few hours trying to wrench ourselves free. The most exciting part of the trip were all the drunk Thai people in the river doing post-Songkran celebrations and splashing us when we went by. Wow, that’s whaat I was searchin for, what a data!